It is said the Left and the Right have converged in their common support for mass immigration, global citizenship, and their hatred of European ethno-national identities. But which side has the upper hand in this convergence? I will start with Paul Gottfried's argument about how the once dominant Traditional Right, which dominated the Republican Party before WWII, was replaced in subsequent decades by a Neoconservative version tacitly in agreement with the multicultural values of a New Left, which itself had replaced, in the 1960s, an economically-oriented Socialist Left. Gottfried explained that while certain old conservative impulses continued within the Republican Party against excessive government spending, affirmative hiring, and imposition of progressive values onto the constitution, Neoconservatives were pretty much on board with the promotion of diversity, open borders, and the spread of American values around the world. They too eagerly began using the label racist against anyone who questioned the merits of integration and who spoke about how immigration was destroying the ethno-cultural identity of the United States. Gottfried's assessment that the Left, no the Right, has been in charge of this convergence made sense to me when I first encountered his writings some five years ago, influencing my decision to move away from Neoconservative influences. In exchange for giving up its radical views about socializing production, focusing more on redistribution of income, the Left gained a cultural vitality allowing it to push through, gradually and peacefully, step by step within every institution, new definitions of the family, gay rights, feminist values, black civil rights, diversity in education, and much more, capturing the hearts and minds of the general population, pushing traditionalists on the defensive even within the Republican Party. In his book, After Liberalism: Mass Democracy in the Managerial State (2001), Gottfried made a strong case about how the Left did not just topple the old state but almost imperceptibly over the twentieth century managed to create a whole new form of governance, not just in the United States, but across the West, a managerial or therapeutic state with a capacity to engage in the engineering of souls via multiple educational and social programs imposed from above by centralized authorities, mass welfarism, backed by a whole host of laws, regulations and speech codes dedicated to the modification of behaviour, trained bureaucrats capable of exacting major penalties against employees deemed to be in violation of anti-racist, anti-sexist and anti-gay codes. 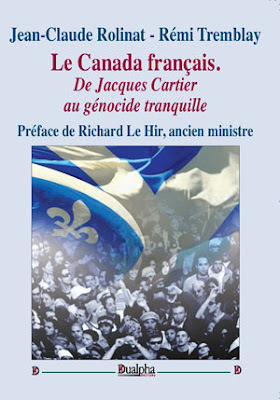 Their cultural-bureaucratic power was such that it no longer mattered, increasingly from the 1980s on, if a majority conservative government was elected somewhere in the West, this managerial regime was firmly lodged within the state apparatus both at the federal and the local level. But was this New Left also in charge of globalization, transnational corporations, the WTO, Asia Pacific, the EU? Is the Left the driver in the intensification of interactions among nations, the creation of a worldwide labour force, the mental dynamics of the transnational capitalist elites, IGOs and INGOs, the spread of information across national boundaries, the images, ideas, goods, and lifestyles disseminated worldwide? In trying to answer this question, I soon came across Kerry Bolton's book Babel Inc.: Multiculturalism, Globalisation, and the New World Order (2013), deservedly praised in the AltRight media. Bolton addresses the convergence of "leftist internationalism" and "corporate globalism" directly. On the surface it may seem that he sees an ideological convergence in which both the Right and the Left play more or less equally powerful roles, agreeing on the essentials, pushing the same program of globalization and immigration, and opposing the same enemy, ethno nationalist parties. Just as major corporate heads such as Goldman Sachs were eagerly funding humanitarian migration programs into Europe, the Left was endorsing arguments about the supposed benefits of immigration for Western economies. Still, my sense is that, for Bolton, the real engine of change and control in this convergence is the capitalist Right. Bolton, in a fashion similar to ENR thinkers, views capitalism as the major force shaping modern politics and destroying national loyalties and traditional cultures all around the world. Focusing primarily on American foreign policy, it is the Right he sees in charge, with Democrats merely following a slightly more moderate Neocon foreign policy agenda in the Middle East. US plutocrats, the Trilateral Commission, George Soros Open Society, Goldman Sachs, the Israel Lobby are the drivers of globalization. He does write about how these corporate forces use Leftist labels about "good global citizenship," promote refugee programs, and various forms of welfarism across the West, with some corporate heads such as Soros fully endorsing Leftist causes, but the bottom line for them, in the words of Peter Sutherland, as cited by Bolton, is "mobility of capital, goods, and information at low cost and lightening speed...international migration [rather than] outmoded notions about human mobility." The capitalist right, not the left is the engine of globalization, the one controlling the real power dynamics of globalization. "The raison d'etre of globalization," as Bolton says, is neither humanitarianism nor diversity per se; it is facilitation of capitalist growth. Both communism and capitalism share a common ideological thread, namely, a common belief in progress and common hatred of all racial, ethnic, and territorial identities. The economism the Left shares with the Right is driven irresolutely by global capitalism. For all the talk about leftist cultural values, the plight of refugees and "good global citizenship," what matters for the Right is the economic mobility of capital and labourers across national borders. Socialist movements themselves have never been able to escape the power of money. While some Leftists may be sincere in their ideals, these ideals are merely a "façade" for the Right, a way to enhance the attractiveness of global capitalism. Leftists who take these ideals seriously are "useful idiots." I have difficulty accepting this interpretation. There is no denying the immense financial power of corporate elites and their ultimate interest in maximization of earnings and the creation of "an identityless mass of producers and consumers with no roots and no attachments." But the Left is in charge of culture, and whoever controls culture, ultimately controls politics. It is odd that ENR thinkers, the same ones who emphasize metapolitics, make so much over the economism of the Right and its impact on the Left. 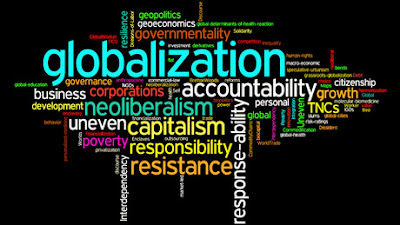 Should it not be obvious from the start that the globalization of capitalism is not unique to the West but a welcomed reality in all advanced non-Western countries, Japan, South Korea, China, India, Mexico? In none of these countries do we find either Leftist or Rightist parties arguing that strong cultural identities are an impediment to the spread of global markets. In none of these countries is there a "far right" opposed by the establishment because in all these countries ethnocultural identities are taken as normal facts of the nation's existence. None of these countries view nationalism as a threat to their capitalist expansion. Bolton's response to this reality is that "it is the West from where the globalists operate...where money values predominate." But pointing to America's greater influence does not invalidate the pervasiveness of international capitalism in Asia. Bolton, and Tom Sunic, do use cultural terms to identify American global capitalism, other words besides economism, such as rationalism, Enlightenment values, and egalitarianism. Sunic has come up with the term homo americanus to designate certain cultural attributes peculiar to Americans, their excessive Puritan moralizing, the self-righteous manner in which they have sought to export their culture, not just material goods, but their ideal that all men are created equal, even developing a "public discourse [that] teems with communistic phrases like 'sensitivity training,' 'political correctness,' and 'affirmative action'." But if Sunic believes that homo americanus is more than economism, and is about certain American cultural traits, then the central agent in America's style of globalization is not capitalism. I think it would be more accurate to look for the ways in which Western capitalist globalization, not globalization as such, has come under the tutelage of cultural Marxism. There are more cuckservatives in the capitalist right than useful idiots in the left. 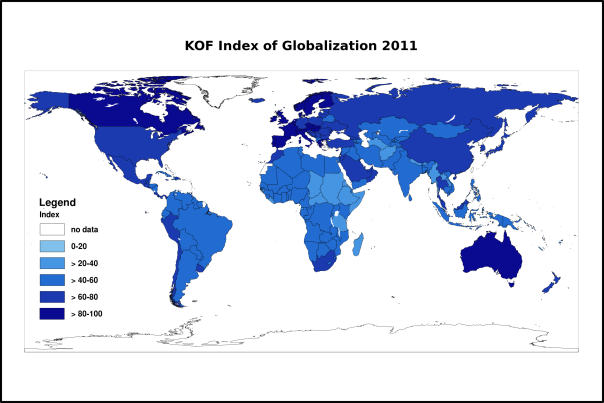 The process of globalization is about capitalist internationalism but not necessarily about the breakup of national identities. As much as national identities in Asia have been transformed under modernization and abstract economic transactions, there is nothing about the mobility of capital at low cost and lightening speed that necessitates the miscegenation of peoples. Capitalist growth, as well as classical liberalism, freedom of the press, and rationalism, are all consistent with "anti-migrant populism" and "far right nationalism." 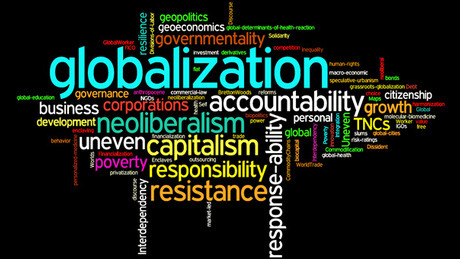 Don't believe Western global elites beholden to a Neocon conception of globalization. The hostile elites who promote a Neocon form of globalization have willingly accepted the cultural revolution of the Left. The Left controls the terms of the debate, the key questions, political movements, cultural organizations, and indeed all the universities, primary and secondary schools, journals and publishing houses. The narrative of the Left on globalization runs along the following lines: Globalization is about bringing people into contact, together, whether through the social media, travel, or migration. It is a process that brings us together and "teaches us" to view such "challenges" as global warming, the worldwide spread of diseases, conflicts between nations, global poverty, terrorism, as problems of all humans sharing a "common home." 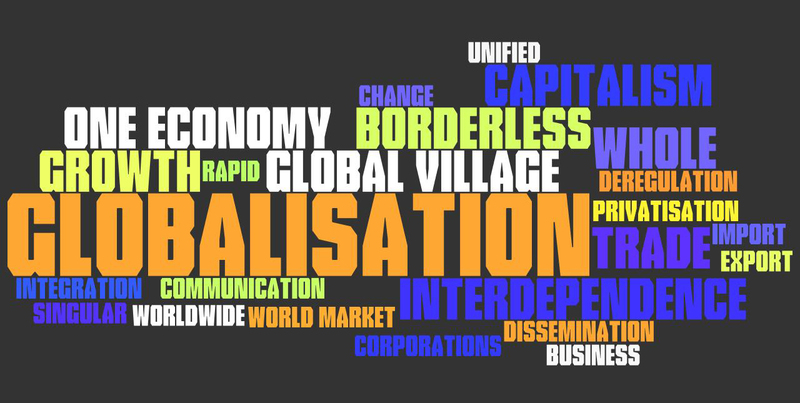 Power has become "deterritorialized" with the spread of transnational corporations, IGOs and INGOs, and so there is a need for global governance and the breakdown of nationalism. As members of this increasingly transnational world, Europeans must think of their civic responsibility not in terms of their national interests, but in global terms as global citizens, identifying themselves as members of "the international community." They have a "moral obligation" to respond to violations in the human rights of all the members of the globe, assist those threatened by famines in Africa, tsunamis in Asia, floods and earthquakes. It is the Left that has effectively made use of the moral implications of globalization, and formulated philosophical arguments about what Robert Putnam happily calls "a new, broader sense of we" seemingly emerging with globalization. It is the Left that understands how globalization may offer new ways to construct human identities away from traditional references, creating new opportunities for individuals to view their identity as something to be constructed within a global setting, giving way to hybrid identities. While the Right naively praises national anthems at football games, the Left carefully works over the concept of "hybridity," a term borrowed from biology, but which serves its effort to push forth the idea that cultures and races can never be seen in isolation, that European nations have always been "connected to the globe" and that nations have always borrowed from each other and that it is natural for European nations to be racially hybridized. Don't Leftists complain about the "uneven structure" of the world capitalist system? This is just one more opportunity to act on the global stage as a force for the good of humanity, against the "undemocratic organization of the WTO," for the guarantee of labour standards by corporations, for "good governance in Africa," for an end to inhumane neoliberal economic policies. Meanwhile the Right is stuck with economism. The right may use Leftist values as a façade, but humans need moral reasons for their actions, not economic reasons alone, and it is the Left that is in charge of our contemporary morals, showcasing its ideals as the ideals of the globe, fighting "Western imperialism's never ending wars on the people of the Middle East, Central Asia, and Africa," arguing that the African migration to Europe is "rooted" in the slave trade, in "unfair" trade practices, support for "corrupt and autocratic" governments in Africa. It is the Lefts that teaches millions of impressionable students that their countries "control an unfair proportion of global wealth" and that they are thus morally responsible for solving global poverty. Bolton is right that the donation of millions by Goldman Sachs to fund migration programmes into Europe cannot be seen in humanitarian terms since capitalists really want "to break down barriers inhibiting the freest possible flow of capital and labour across the globe." But the only reason George Soros and Peter Sutherland are knowingly using Leftist ideals is because these ideals do have a hold over the moral conscience of Europeans. The image of the boy washed ashore on a beach led to an outpouring of charity and solidarity with migrants in Europe, in a way that would have never been the case in any other non-European nation, because Europeans are emotionally controlled by the Left. The Left is the one in charge of charitable organizations, Migrant Offshore Aid Station, Médecins Sans Frontières, Refugee Council, UNICEF, British Red Cross. Of course, the Left consists of many groups with different morals, political strategies and personalities. Some at the top like Soros are manipulators of human suffering to bring about their political ends, whereas many at the bottom are not even concerned with politics but have been socialized since birth to associate diversity with goodness, and European nationalism with Nazism. The point is that whichever way one cuts it, the Left dominates the moral discourse, the concepts, intellectual apparatus of Western globalization. The AltRight needs to build a counter narrative of principles, ideas, feelings, images, and morals, rather than concentrating merely on the economics of globalization.